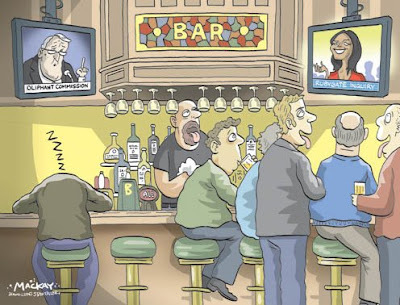 Editorial cartoonists had a field day last week. 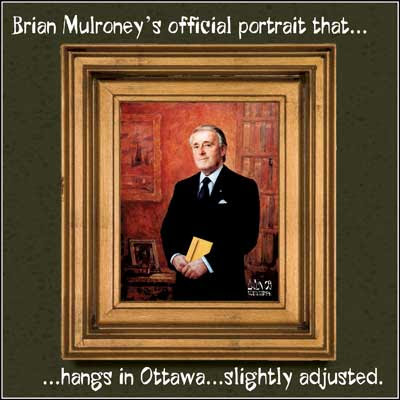 Former Prime Minister Brian Mulroney was appearing before a public inquiry into his post-PM business dealings with a German businessman during which Mr. Mulroney received large sums of cash in plain brown envelopes on three occasions. He never admitted to the payments and never payed tax on this income, until something like 5 years later. 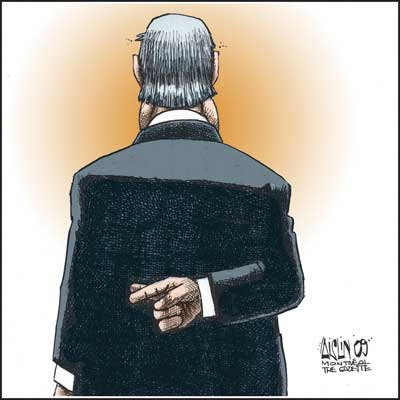 On one morning of his testimony he was up against the televised proceedings of a Parliamentary Committee reviewing the cicumstances surrounding a Liberal MP's (a very attractive one) possibly employing illegal immigrants as her mother's caregiver. 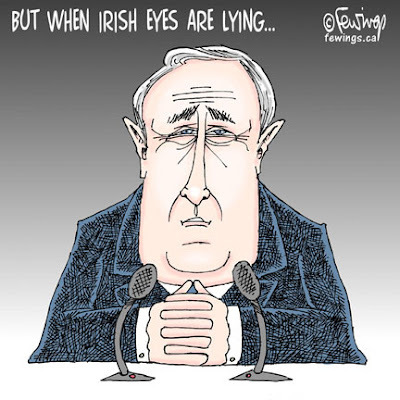 When repeatedly asked why he never admitted to these payments in the past, Mulroney said, "No one asked me the question."